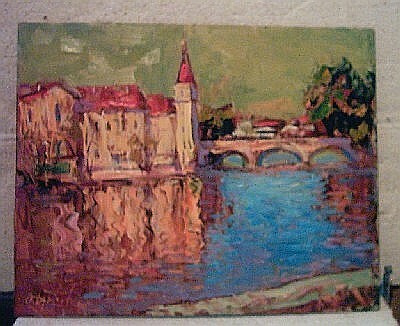 "Blatno Castle" Oil painting - approximately 30cm x 40cm. This is a castle in the Czech Republic. 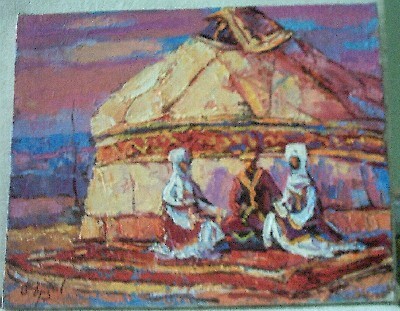 "Conversation" Oil painting - approximately 30cm x 40cm. 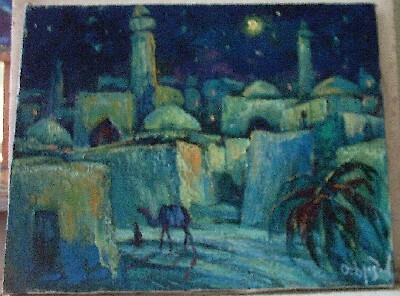 "Eastern Night" Oil painting - approximately 30cm x 40cm. "Evening" Oil painting - approximately 30cm x 40cm. 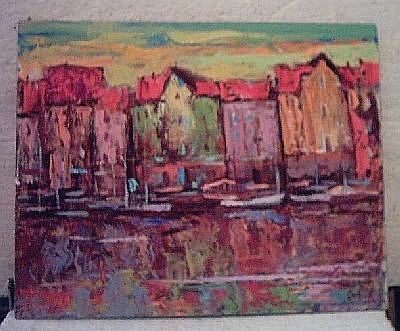 "Mengeery" Oil painting - approximately 30cm x 40cm. 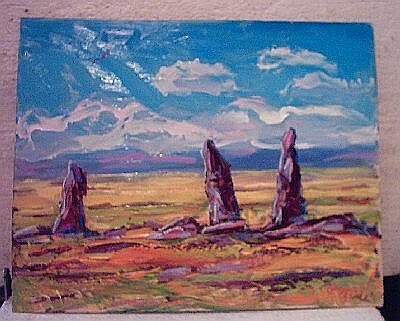 Mengeery is the name of the big stones in the south of Kazakhstan. 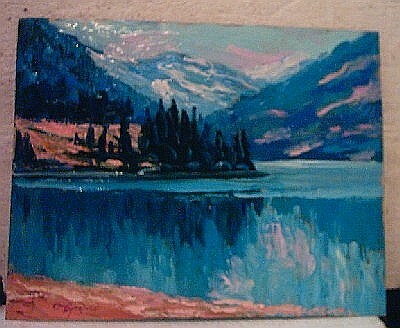 "Mountain Lake" Oil painting - approximately 30cm x 40cm. This is a scene of a lake near Almaty Kazakhstan. 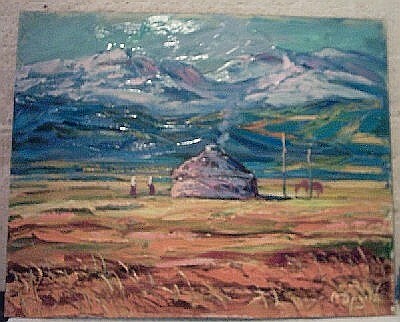 "Mountain Pasture" Oil painting - approximately 30cm x 40cm. 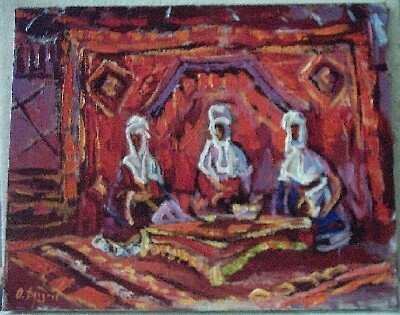 Untitled Oil painting - approximately 30cm x 40cm.